The International Ultraviolet Association installed Dr. Kati Bell, water reuse global practice leader for MWH Global, as its new president at the recently concluded IUVA World Congress. The International Ultraviolet Association (IUVA) installed Dr. Kati Bell, water reuse global practice leader for MWH Global, as its new president at the recently concluded IUVA World Congress. In her role at MWH, Dr. Bell is responsible for thought leadership, applied research, and development of innovative water reuse solutions for clients with increasing water challenges. Dr. Bell has extensive experience with regulatory guidance development, coordination, and negotiations. 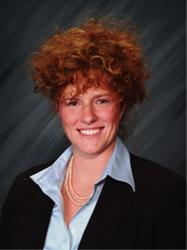 She served as the project manager for the development of the 2012 US EPA Guidelines for Water Reuse and is currently providing input and technical review of a supplement to the 2012 Guidelines to address Potable Reuse – State of the Industry, which is being completed under a Cooperative Research and Development Agreement with the US EPA. Her professional background also includes serving in a technical role for implementation of project work summing more than 2 billion gallons per day of treatment capacity, which allows her to identify areas of research needs and technology applications to meet client and regulatory goals. Dr. Bell holds a doctorate in environmental engineering from Vanderbilt University, master’s degrees in civil engineering and biology from Tennessee Technological University, and a bachelor’s in biochemistry from the University of Dallas. She is a licensed professional engineer in four states and is based in Nashville, Tennessee.